The Michigan Artrain was founded in 1971, as a project to take art to the many small towns in Michigan where there was a railroad, but not an art museum. Over the next several years it toured the state, but later the project was extended and the train was able to tour the country. In April of 1980, the Artrain was scheduled to visit Tecumseh for a weekend. The train’s previous stop was in Albion, so almost certainly it travelled via Conrail from Albion to Detroit, then south to Toledo, and then up the Clinton Secondary Track to Tecumseh. It arrived in Tecumseh late on a weekday afternoon. Pulled by a black Conrail GP-38 or similar locomotive, the locomotive ran around the train at the Tecumseh south yard, then “shoved” the train up through the town. The train was spotted on the old house track next to St. Peter’s Church to be made ready for visitors. The Michigan Artrain in Tecumseh, on the siding next to St. Peter’s Episcopal Church. 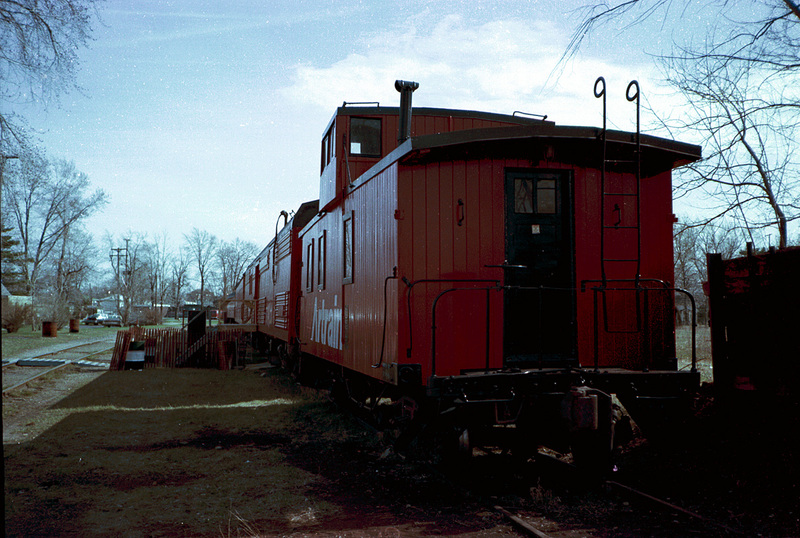 The Artrain’s caboose, where staff lived and travelled during tours. 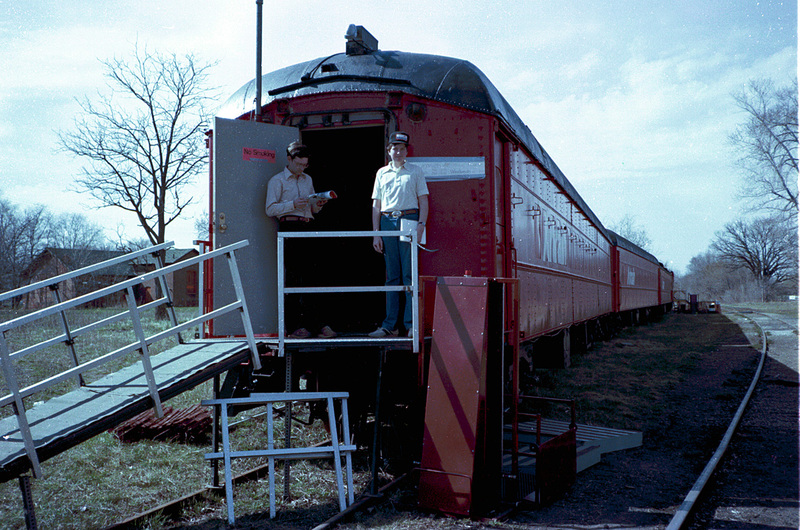 This wooden caboose was built for the C.C.C.& St.L Railway, the “Big Four”, a subsidiary of the New York Central. 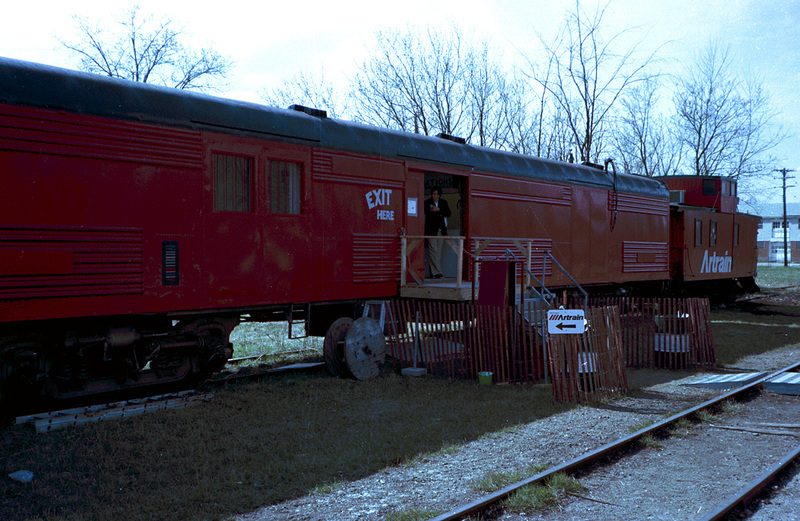 This former baggage car was transformed into a gallery for Artrain’s artists-in-residence. The far end of the car held the generator for the train. The entrance ramp to the Artrain. The blog author poses to the right! Through the weekend a steady stream of visitors toured the gallery on the train and watched the artists-in-residence create art in the baggage-turned-studio car. In the hall of St. Peter’s Church, further attractions were located, including displays by local artists, and a model railroad display. On Sunday night, the train was packed up and prepared for its next move, to Fenton, MI, taking another detour via Toledo. The Artrain was first displayed in Adrian in the early 1970s, and the visit to Tecumseh was its last to Lenawee County. 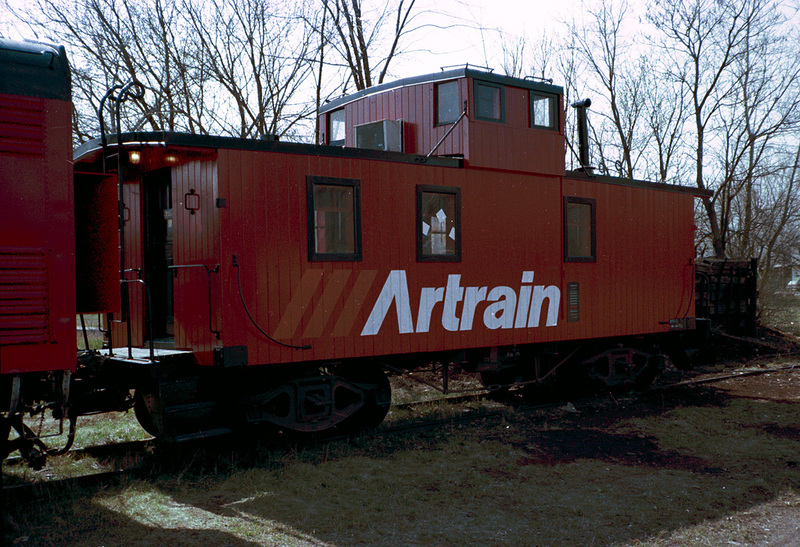 The Michigan Artrain organization was re-branded as “Artrain USA”, and in recent years has abandoned rail tours and replaced its train with transformable semi-trailers (Artruck USA?). Do you have any memories of Artrain’s visit to Tecumseh? If so, please share them in the comments below!